Multiple sources are indicating the Philadelphia Phillies are in serious talks with the Miami Marlins about catcher J.T. Realmuto with sources believing the two clubs could have a deal in place by the end of Thursday. The deal will involve the Phillies sending top-ranked prospect Sixto Sanchez to the Marlins along with catcher Jorge Alfaro and an additional prospect to land Realmuto, this according to Joel Sherman of the New York Post. 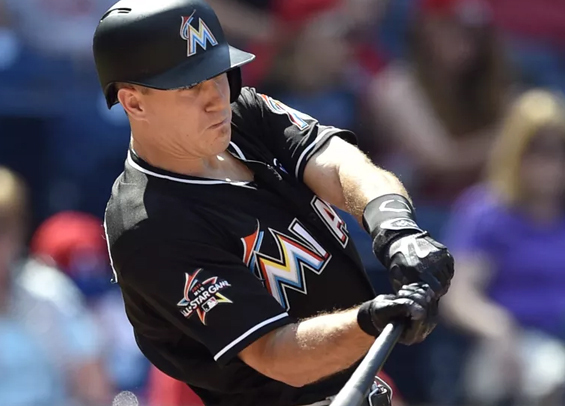 Realmuto, 27, was an All-Star last season and is arguably the top catcher in all of baseball. He hit .277/.340/.484 with 21 home runs and 74 RBI in 2018. He is in the final year of his current contract and is arbitration eligible in 2020, meaning the Phillies potentially could be giving up a top prospect in Sanchez for just two years of control of Realmuto. Perhaps that's the cost of going all in to win now, or maybe it's a ploy to show megastar free agents Bryce Harper and Manny Machado that the club is serious about making a run right now for the postseason. Sanchez, 20, has an electric fastball and has a fluid delivery. He projects as a future top-end starter and is the No. 13 prospect in baseball according to Baseball America. Even so, he's yet to pitch above Single-A Clearwater and dealt with shoulder and elbow issues last season. For his career in the Phillies' system, he's posted a 2.48 ERA and a K/BB ratio of 191/43 in 221 1/3 innings. Alfaro, 25, hit .262/.324/.407 with 10 homers last season. The Phillies have loved his arm from behind the plate, but his improvement elsewhere has been a bit slower than expected. There's no doubt, assuming this all goes through, that Realmuto makes the Phillies a better team entering 2019. The question will be at what cost did the club improve.